Jakob and Tom are students from Star of the Sea School at Henley Beach, South Australia. After attending Halogen’s youth leadership event in Adelaide, they were inspired to make a difference and immediately put their thinking caps on. Being footy enthusiasts, they were aware that there are young people out there who love their footy too, but do not have access to the right clothing/equipment to even get started. And they wanted to help. They thought about the fact they always grow out of their own footy boots so fast and cannot wear them anymore, even though they are still in good shape! Together, they came up with a brilliant idea. What if they could provide footy boots to young people in remote South Australia, including Indigenous players in the APY Lands? And so...the Kick in my Boots Foundation was born. To grow support for their initiative, Jakob and Tom first reached out to SANFL clubs as well as the Star of the Sea school community, seeking donations. Their selfless vision touched the generous spirit of all whom they approached. The school community also provided assistance raising additional funds for socks to go with the boots. The first goal was to provide 100 pairs of footy boots to communities in need– one that has since been exceeded. To date, $624 has been raised and more than 300 pairs of boots have been donated by local and interstate clubs. Jakob and Tom’s story has been featured on Channel 7 News and on the front page of The Western Suburbs Messenger. 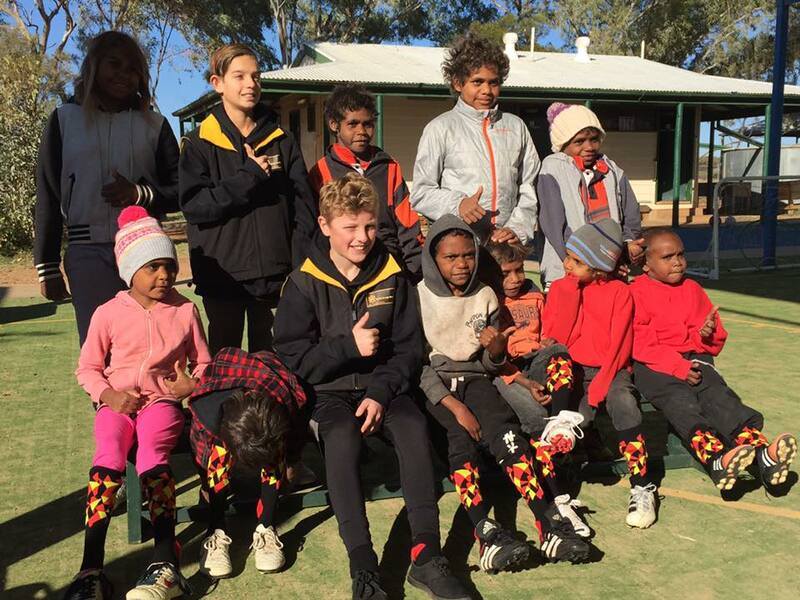 Right now, the boys are personally delivering the donated boots to the APY lands themselves! It goes without saying, it is stories like these that bring any parent or leadership educator much pride, joy and hope for the next generation. Indeed, many hearts exploded in the office when we heard about Jakob and Tom’s Halogen-inspired efforts. These boys have not only been empowered to make a difference, but they are taking ACTION. They’ve started something that has the potential to create real grass-roots change! This is the stuff that drives Halogen – the very reason we exist. As educators, if we can help develop leadership in more young people like Jakob and Tom, just imagine the possibilities! To follow Jakob and Tom’s initiative, like Kick in My Boots on Facebook. Their story was also featured on 7 News Adelaide.